My father always said, "If you don't have the time and money to do something right the first time, how are you going to have the time and money to do it over?" Featuring beautiful Black Cosmic granite counter tops, center cabinet island with drop-in 4 burner gas range, built-in two-tiered spindle ladder plate rack, lighted overhead cabinets, and polished oak hardwood floors this kitchen re-model gets it right. Notice the attention to detail and design. The range of textures produced by the soft colors and warm accents add a distinguishing feel to the kitchen. I love the Tuscan style Terra-Cotta tiles that are used for the back splash. These tiles give the kitchen an overall air of appeal - like an old Italian farmhouse in the countrysides of Tuscany or Florence. Cabinets might be the most important part of your kitchen design. It's important that the cabinets fit well in coordination with wall and floor colors as they set the tone for the whole room. In darker kitchens where natural lighting is scarce or absent, the use of lighter pigments and strategically placed lighting offset the lack of natural light. The use of lighting in the upper cabinets is a creative way to provide ambiance and to shed a little light to the room. Try your hand at a little faux of your own. In Medieval times, corbels were thought to ward off evil. Often gracing old cathedrals and churches corbels demonstrated the contrast between dark and light. 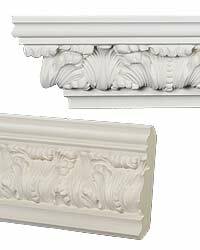 Nowadays, corbels are a great decorative element and can add a classic touch to any room. 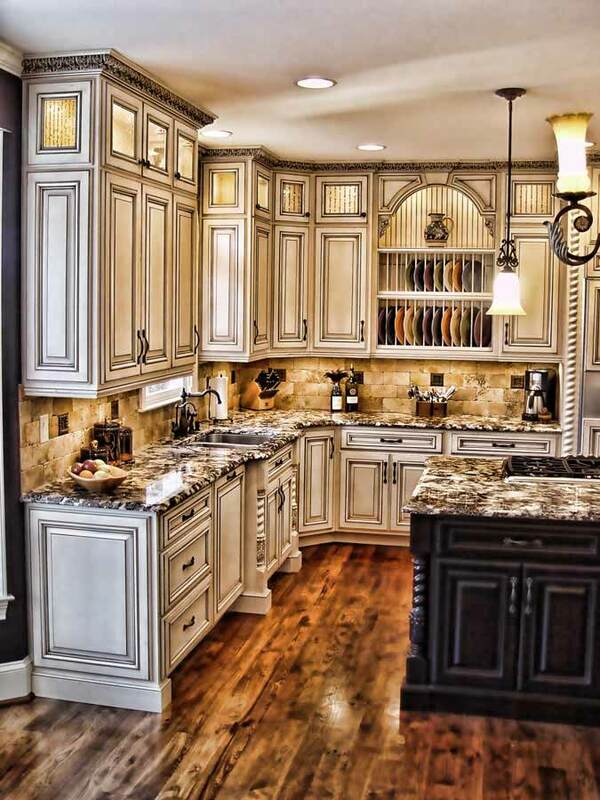 Thoughtfully placed corbels accent the arch above the built-in plate rack in this amazing kitchen. If you like the look, you can use a corbel similar to our CB-1978 Polyurethane Corbel; or, you can choose from over 120 different designs from our corbel collection. Pick one that suits your taste and decor. A good way to bring old world French Quarter tradition to your modern kitchen is by choosing from our collection of hanging lights and wall sconces from our lighting gallery. Laissez le Bon temp rouler!